Three young people are waging battle as best they can. Soraya, Jiaan, and Kavi, their lives devastated by the Hrum, are each in a personal fight against their common enemy. Apart, their chances are slim, as none of them are Sorahb reborn. United, perhaps they can succeed. But only Time’s Wheel can bring them together—if it turns the right way. If it doesn’t, Farsala is surely doomed. 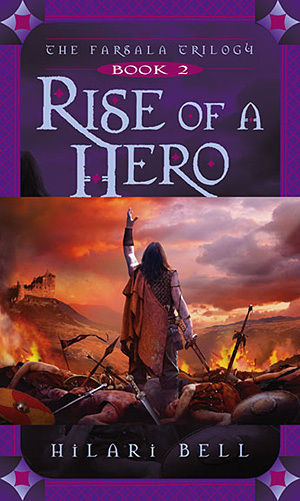 In the sequel to the critically acclaimed Fall of a Kingdom, the first book of the Farsala Trilogy, Hilari Bell draws readers deeper into the mythical land of Farsala and weaves an epic tale of destiny and danger.